The old Cranston house had stood unoccupied for as long as anyone could remember. Few spoke of why. After a while, everything just passed into rumor, and now nobody knows the truth for sure. But they do know one thing: it's one hell of a spooky house. If you can make it through the whole night in the Cranston house, you'll be legendary back at school, kings and queens of the hallways. So, anybody up for a dare? Come on, we can do it. It'll be a scream. 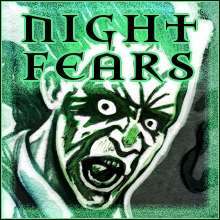 Night Fears is a Dresden Files RPG casefile, a one-shot mystery-adventure intended for 3-7 characters at the "Feet in the Water" power level. Customizable, pregenerated characters, a mix of mortals and minor talents, are provided with sheets and power details. You can run it as a "who will survive?" horror thriller, or as a deeper supernatural mystery. Or integrate it into your own game, and use it as a starting point for your characters -- or as trigger-story about the kids who went into the house and never came out again. Together with a copy of The Dresden Files RPG: Your Story, Night Fears is perfect for a "test drive" at home, or for a convention GM looking for a print-and-play scenario. This title was added to our catalog on April 26, 2011.